This is a super quick uber-healthy delicious kale salad recipe. 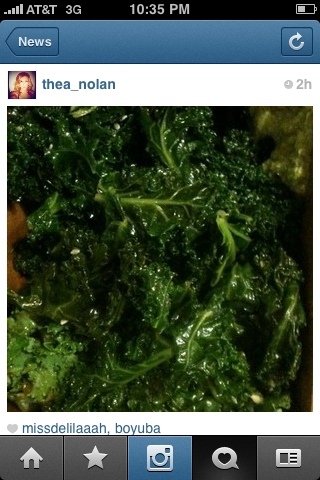 Kale is like the god of greens and if you make the effort to stick it in your diet it will repay your health! This veggie is filled with nutrients, vitamins, and fiber. It helps aide with cleansing and detoxing the body! Start mixing salads like this in to your diet to see a BIG change in your mood, energy, skin, and maybe even weight! 1. Wash kale then cut. 2. With clean hands Massage kale for a few minutes so it's leafy ends soften. 4. Add in garlic and lemon and mix. 5. Let marinate in fridge overnight.